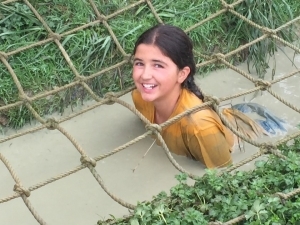 One of the highlights for children in Year 5 and 6 are our camp experiences! 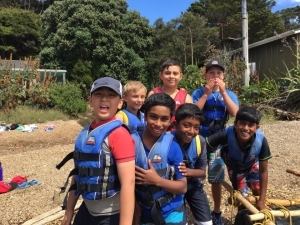 During Year 5, our students experience a two night stay at Chosen Valley Camp in Hunua where they experience a range of outdoor activities and team building along with experienced teachers and parent helpers. This camp is an incredible experience for your children and prepares them for our longer camp of four nights in Year 6. Please note that we will be departing at 9.00am on Wednesday 6th March. The cost of camp is $200 and needs to be paid Friday 22nd February 2019. This cost includes meals, bus transport, accommodation and activity rentals. Fees paid by the 22nd February cannot be refunded as once fees are paid we confirm numbers for buses, food and accommodation. With your child’s name and 2019 Y5 Camp as the reference details . If you need to discuss this payment further you are able to Mrs Mackay or Mrs Bain confidentially so we can make alternative arrangements. We will be holding a Camp Information Evening on Wednesday 5 December at 6pm where the camp programme will be outlined and you will have the opportunity to raise any questions. You will also get a chance to meet the staff who will be attending our Year 5 camp. If you have any queries prior to this evening, please do not hesitate to contact us. We are happy to answer any questions you or your children may have. 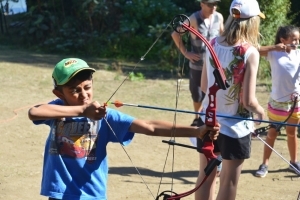 One of the highlights for our Year 6 students is attending their camp at Camp Bentzon on Kawau Island. During the camp, experiences will include kayaking, hiking, abseiling, archery and much more. Children will be supervised by experienced teachers, parent helpers and certified instructors. This camp is an amazing experience for our students and helps them to develop independence and self confidence which will be integral to help them with their transition to intermediate. The cost of Camp is $320 and is due by 15th February 2019. This cost includes bus and ferry rides, meals, accomodation and all camp activities. Fees paid by the 22nd February cannot be refunded as once fees are paid we confirm numbers for buses, food and accommodation. You are able to pay your child’s camp fees to the following account number or at the office before the due date. Please include your child’s name and 2019 Y6 Camp as the reference details . If you need to discuss this payment further you are able to with Mrs Brown or Mrs Macdonald confidentially so we can make alternative arrangements.